In response to the industry’s need for a more rigorous standard for TPO membranes, ASTM standard for TPO was revised twice in 2011. The first revision took place in April 2011 and included changes to the duration of specimen heat aging before aged physical property testing. The time frame was increased from 28 days at 240 F to 224 days at 240 F, an eight-fold increase. However, no changes in the standard were made to the physical property evaluation methods after heat aging tests. In May 2011, ASTM standard was revised one more time. The new standard increased the minimum allowable thickness over scrim from 12 mils to 15 mils. As a result of this change, the method of measuring TPO thickness also changed from the previous optical method to a new test method, ASTM D7635, “Test Method for Measurement of Thickness of Coatings Over Fabric Reinforcement.” This method is considered more reliable that the optical method. The new revisions are known and published as ASTM D6878-11a. While NRCA considers these new standards to be a significant improvement, the association still finds that “additional enhancements” are needed before it can reasonably be relied on to ensure adequate TPO performance. Currently, a task group of ASTM International is conducting tests on a number of different TPO membranes from different manufacturers to evaluate the new heat aging duration and alternative methods of evaluating physical properties after heat aging the samples. This is a really important development as NRCA and many other associations believe that the current evaluations of TPO samples breaking strength, elongation and tearing strength after heat aging actually measure membrane’s reinforcement strength, NOT its watertightness. In reality, in most instances, a membrane’s TPO coating over the reinforcement will crack and, therefore, not be watertight before the reinforcement fails in testing. To address this issue, in the new round of evaluations and tests by ASTM International, visual examination of the TPO coating over the reinforcement is being considered as a potential evaluation criterion after heat aging. NRCA finds that this would be “a more appropriate method of evaluating performance and durability because it takes into consideration the membrane’s watertightness after heat aging”. Moreover, NRCA points out that current ASTM standards are based on a TPO membrane’s thickness of 45 mil and do not include other products such as 60-mil-thick membrane sheets. In the future it would be important to revise the standard so that it can be representative of all TPO membrane products available on the market. Based on this recent information, it remains to be seen how TPO roofing membranes continue to preform under conditions of heat and solar loading and whether manufacturers will continue to improve the formulations to account for the current deficiencies. 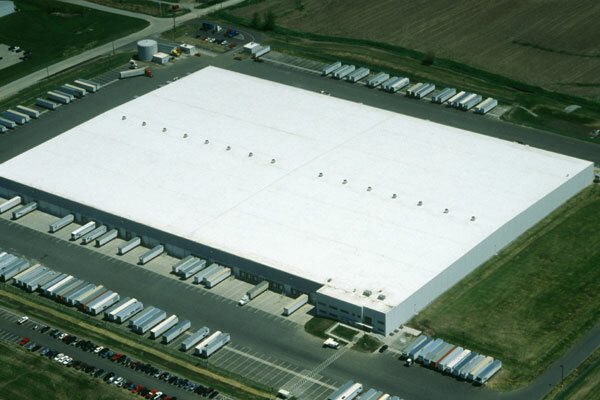 In the meantime, designers, roofing contractors, and home or business owners who are considering installing a TPO roof should err on the side of caution if they are aware that the membrane will have to endure high heat and solar loading over prolonged periods of time. I am considering re-roofing a flat roof and I want to know how the newest ASTM TPO roofing standard ((D6878/D6878M – 17 (pub. July 2017)) would be applied to material warranties and if there is a (5-yr+) time lag between new standards and manufacturers such as GAF being able to to produce newer TPO materials that meet the newest standard? Which standard should one be looking at today for material warranties? THANKS!! Daniel – I’m not keeping up with ASTM standards, because there are too many TPO manufacturers, and who knows how often they change formulation. They do not publish such info, so it’s very hard to stay on top of it. Bottom line – if you want cheap white single ply roof – go with TPO … if you are more into quality, go with reputable PVC.